The DMV Veterinary Center provides 24 hours a day emergency medical services 365 days a year, without appointment, to complement the services offered by your regular veterinarian. 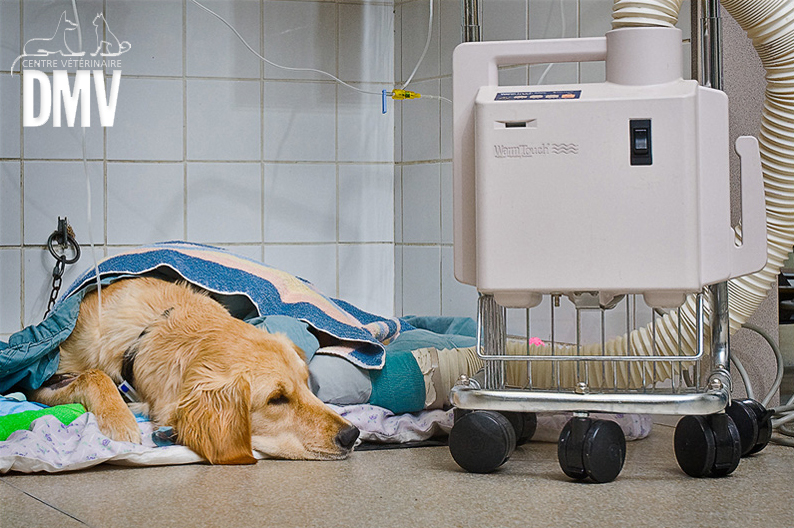 We work with your primary care veterinarian to provide the best medical and surgical critical care for your pet. You could be referred to us in the middle of the night for an emergency or during the day for specialized diagnosis and therapeutic procedures. In an emergency, come at any time to any of our 3 centers, in Montreal (Lachine), Blainville or St-Hubert. Our emergency services and intensive care units operate without appointment.